For somebody with terminal brain cancer, he looked fine at OAC ceremony. Looked better than our PM who was sitting in the front row like a good prim and proper schoolgirl. I am not sure why (other than the publicity -- answered my own question) they chose to give him the OAC. He is just a musician who happens to be dying. "He is just a musician who happens to be dying." I wouldn't hold either of those things against a guy! 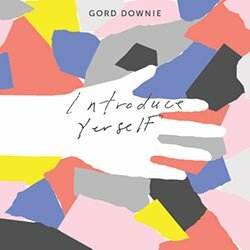 Downie got the award for his work in promoting the missing indigenous women's file, his contribution to Canadian music, AND because he is dying. Makes me think of the wisdom of one bard..................."He can not read his tombstone when he's dead"! The Tragically Hip, sans singer Gord Downie, whose terminal brain cancer diagnosis was made public in 2016, showed up for the world premiere of their documentary, Long Time Running, at TIFF on Wednesday night. And even though none of the band — guitarist Paul Langlois, bassist Gord Sinclair, lead guitarist Rob Baker, and drummer Johnny Fay — spoke to reporters we know they liked the movie about their farewell tour across Canada in support of Man Machine Poem, because co-directors Jennifer Baichwal and Nicholas de Pencier told us so. “We’re not nearly as nervous tonight as we were when we showed the band the film a while ago,” said Baichwal. Also on the Long Time Running red carpet was Headstones singer Hugh Dillon, who grew up with the band in Kingston, Ont., and Motley Crue bassist Nikki Sixx. Leave it to Gord Downie to end his music career – if last summer’s Tragically Hip Canadian tour was indeed their swansong – on a high note. The determined Kingston, Ont., band’s frontman, who went public with his terminal brain cancer diagnosis in the spring of 2016, defied all the odds and pushed his longtime bandmates to hit the road despite his weakened physical and mental state, according to the group’s celebratory and poignant new documentary, Long Time Running. “Don’t tell Gord he can’t do something,” says drummer Johnny Fay, who along with Downie and the rest of the Hip is interviewed extensively by filmmakers Jennifer Baichwal and Nicholas de Pencier after their cameras crossed Canada with the group on their Man Machine Poem trek in the summer of 2016. Hip fans will enjoy not only the behind-the-scenes footage of Downie getting ready for each night’s show on the trek (right down to his underwear) but the entire group’s collective memory of their 30-year personal and professional journey as one of Canada’s most beloved rock bands that started back in high school. The Hip’s rhythm guitarist Paul Langlois recalls how his best friend Downie wanted him to be there for his post-brain surgery radiation and chemotherapy treatments and the singer says he liked to listen to the Waterboys and the Bee Gees (the latter, he admits, a guilty pleasure). And the doctor who operated on Downie says the “best case scenario,” for his survival is between four to five years. This is not to say that Downie, one of the country’s most respected songwriters and live performers, father of four and mentor to many a Canadian musician, may not defy the odds yet again. At the beginning of his recovery, Downie could barely speak, let alone have any memory of the dense, poetic lyrics he’s written for the Hip so he had to re-learn them all over again with the help of teleprompters both during rehearsal – a video shows the struggle all too well – and on the road. But, as each show was performed, Downie’s bandmates noticed him getting stronger despite initial fears he might have a seizure on stage. “Everybody around me did help me get onto my knees and then onto my feet,” says Downie in the movie which culminates in Kingston during that wildly patriotic and emotional final show that was nationally broadcast. Now they can thanks to this documentary. there was a politician who said that we all have stories of gord downie. when i saw justine get emotional i thought that he had been kicked out of office. I'd like to post this video of another Brain Cancer victim in honour of Gord. BELLEVILLE, Ont. — A new consolidated high school in eastern Ontario could be named after the late lead singer of The Tragically Hip. Quinte Secondary School in Belleville, Ont., will close next June, and 390 of its students will transfer to Moira Secondary School. The Hastings and Prince Edward District School Board received input from the public this fall on a new name for the combined school at Moira and a committee chose five finalists from 314 proposals. One of the suggestions is Gord Downie Secondary School, but the board says it still has to get permission from the singer’s family to use it. The other names under consideration are Belleville East Secondary School, East Hill Secondary School, East Side High School and Myers Creek Secondary School. A public vote on a name for the school is underway and ends on Dec. 12. The school integration committee will meet the next day and present its final choice to a board meeting in early January. I saw a great line that best describes Gord Downie and the Tragically Hip's music. "They are the soundtrack of Canada". I couldn't agree more.